A Valentine gift can make your sweetheart melt, especially if the gift expresses your thoughtfulness. Valentine's Day gifts test your creativity, and coming up with a unique and romantic present challenges most everyone. Finding the perfect gift just takes a little reflective planning. The perfect Valentine gift is out there somewhere just waiting to be found. Plan a weekend get-away and make her fall in love with you all over again. Pick a quiet romantic spot where you can spend time alone together. Life gets hectic, and a trip -- no matter how near or far the destination -- is a welcome break. Whatever destination you choose, plan a surprise or two for your Valentine. Plan to have chilled champagne and strawberries delivered to your hotel room upon arrival or reserve a special table in a romantic restaurant. Wherever you take your sweetheart, expect to create life-long memories. Give your Valentine a piece of jewelry with a personal touch. Purchase a ring, necklace or bracelet -- any price range will do -- and have the jewelry engraved. Depending on the size of the jewelry, have a few words, letters or even symbols engraved somewhere on the piece of jewelry. Your initials, a special date or a sentimental word turns even a simple piece of jewelry into a keepsake. Send flowers to her work. Roses tend to be cliche, so choose her favorite flower and have a bouquet sent to her. She will be thrilled at the thoughtful surprise. Not only can she show off the beautiful flowers to her co-workers, she can also show off what a catch she landed. Don't forget a short-but-sweet note. A romantic Valentine gift does not need to cost an arm and a leg. Make a homemade Valentine card and watch your sweetheart melt. Store-bought Valentine's Day cards can seem all but meaningless, but a card made from the heart shows your charm and love for your Valentine. 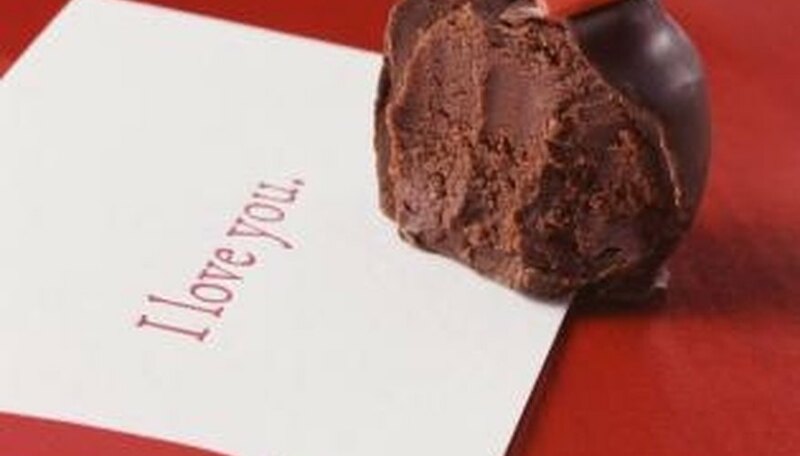 Write a sweet, heart-felt note specifically telling your significant other why you love her. Include a small sentimental token as an extra touch, such as a long forgotten picture. Forbes.com: What Do Women Really Want for Valentine's Day? Rose, Annabelle. "The Most Romantic Valentine Gifts." Dating Tips - Match.com, https://datingtips.match.com/romantic-valentine-gifts-8393888.html. Accessed 20 April 2019.